A solo ad is when a list of people who have already expressed an interest in your product or service receives an email that has no other information other then your advertisement. Its a “solo ad” because your ad is the only ad information that is emailed. Any online business needs to build a list of potential customers. However, building a list can be time consuming if you try this completely on your own. Solo ads can help you build a list quickly and effectively. Most solo ads comprise of your product information within a sales page where the reader can click for more information. Once they provide their email for more information you can follow-up with them and send them email information. At that point they become a prospect on your list. A good thing about solo ads is that the reader is reeving your email from someone who they already have a relationship with. For example, a reader may agree to receive information via email from someone providing work at home opportunities. Your work at home opportunity is then emailed via a third party which gives you more credibility. Most solo ads are simple in nature. Mostly text with few images. You’re not trying to sell yourself in the solo ad. That is what your landing or sales page helps yo do. You need to make sure you are providing both valuable information as well as targeting your solo ad recipients to the your niche. 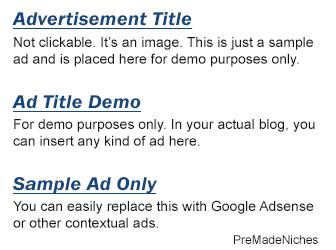 As said earlier, when using solo ads your ad is being sent via someone else;s prospect list. You must search for online marketers who have large databases so market to. You purchase solo ad blocks of people usually 25 to 100 at a time up to 1000 or more at a time. When searching for database owners via solo ad websites make sure to read the reviews and ask question of the list holder to make sure you receive quality. Not all list owners are the same and you want to deal with someone who is reputable. Shop around because there are many list sellers and they all charge different prices for sending out to the same number of names. You do get what you pay for, so sometimes the cheapest is not necessarily the best. You will also want to use different list owners so you don;t have an overlapping of names. For example I would try to use as many different list owners as possible who have good reviews. If Using the same list builder over and over again you run the risk of having your ad sent to the same people. Ultimately you want as many different leads as possible.